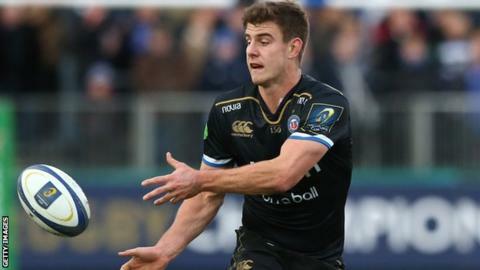 Exeter have signed new England call-up Ollie Devoto from Bath on a three-year deal from the start of next season. The 22-year-old was one of seven uncapped players to make head coach Eddie Jones' Six Nations squad. Bath had offered versatile back Devoto, who came through the club's academy, a new contract in December, with several other Premiership clubs also interested in signing him. "It's a good move for me," Devoto told the Exeter Chiefs' website. "Exeter are a very good club and they've shown over a number of years that they are very ambitious," added the youngster, who can play in several positions across the backline but has featured most often in the centres over the past 18 months. "I like the values they have created, especially in terms of working hard, and that kind of mirrors what I demand of myself." Exeter are currently second in the Premiership table, while Bath are ninth having lost five of their opening eight games.